This 3-Ingredient Vegan Biscoff Mug Cake is so easy to make and can be made so quickly in the microwave. I first came across Biscoff spread in France, where they call it Speculoos. It’s ridiculously addictive and its flavour is very versatile and works well in a wide range of desserts. You can also use any other type of cookie butter or spread. I also love to add some pieces of chopped apple, which create little pockets of juicy sweetness, and pair beautifully with the subtly spiced Biscoff spread. If you do add fruit, you will need to adjust the cooking time accordingly though, so be aware of that. Someone commented on this recipe on Pinterest saying they added an extra teaspoonful of Biscoff spread in the middle of the cake, which sounds like such a good idea! It would create a lovely lava effect as the Biscoff spread melts and gets super gooey in the microwave. 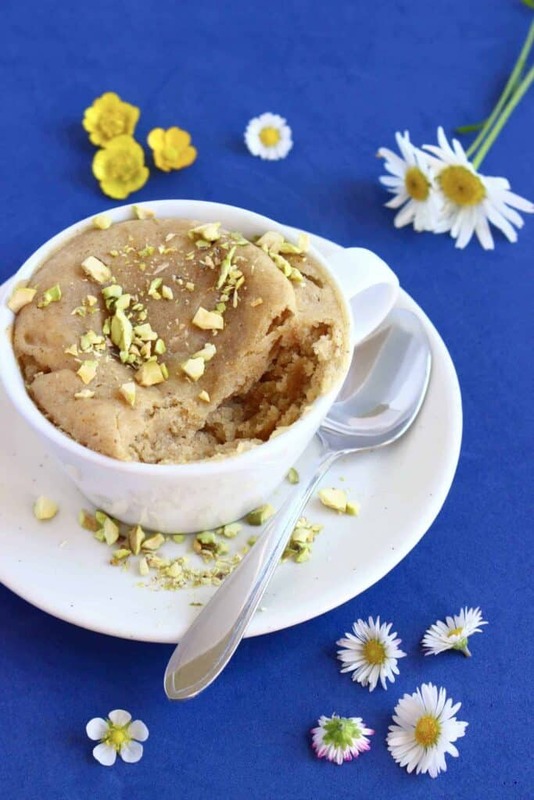 This mug cake would also taste incredible with a scoop of (dairy-free) vanilla or chocolate ice cream. This mug cake is so delicious, and couldn’t be easier to make! It’s absolutely perfect for those times you want dessert NOW but don’t have the time or energy for baking. Although I would love to add gluten-free and refined sugar-free options for this mug cake, I’m afraid I won’t be able to as Biscoff spread contains both gluten and sugar, sorry! 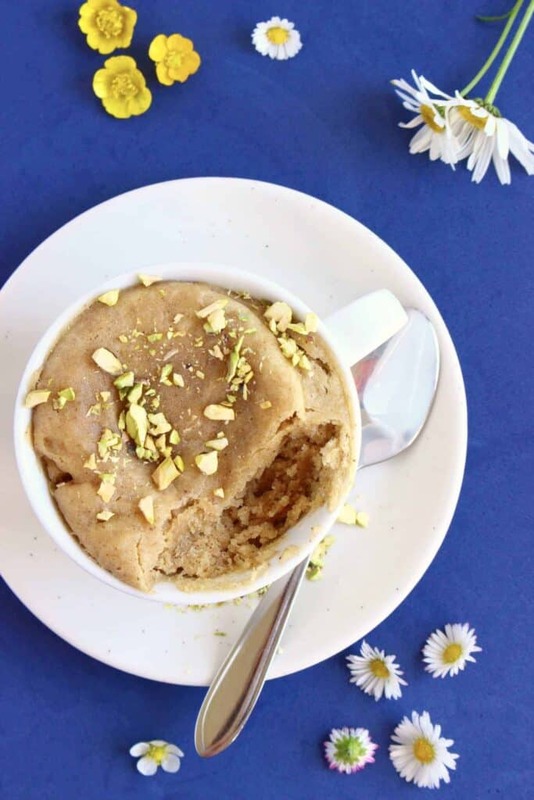 You might like my Vegan Peanut Butter Microwave Mug Cake though, as it’s refined sugar free and also includes gluten-free options! 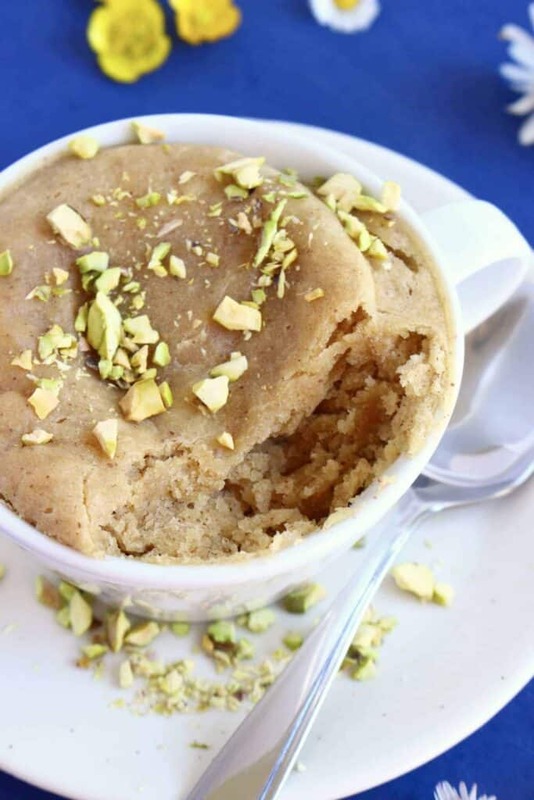 If you’re not a fan of the microwave, you can also make this mug cake in the oven! Please see recipe notes for directions. This 3-Ingredient Vegan Biscoff Mug Cake is so easy to make and so delicious. You can also make this in the oven instead of the microwave. Just bake at 180 degrees Celsius (350 degrees Fahrenheit) for around 15 minutes, or until risen and an inserted skewer or fork comes out clean. Can’t believe more people haven’t tried this! It’s so easy and nice, a real treat at uni!